Google and LG teamed up on a pair of smartwatches to show off Android Wear 2.0, one of which had all the things and the other had very few things. That other watch is the LG Watch Style, which still sells for $249 on the Google Store. That's way too much, but it's on sale for a much more reasonable $139.99 on eBay right now. The Watch Style lacks NFC and the battery is only 240mAh. It's really not worth the full asking price, but this eBay deal is solid. For $140 you get a new, unopened watch in the silver/tan color combo. The strap is a MODE band from Google, but the other MODE straps are all rather expensive. Luckily, it's compatible with standard 18mm watch straps. 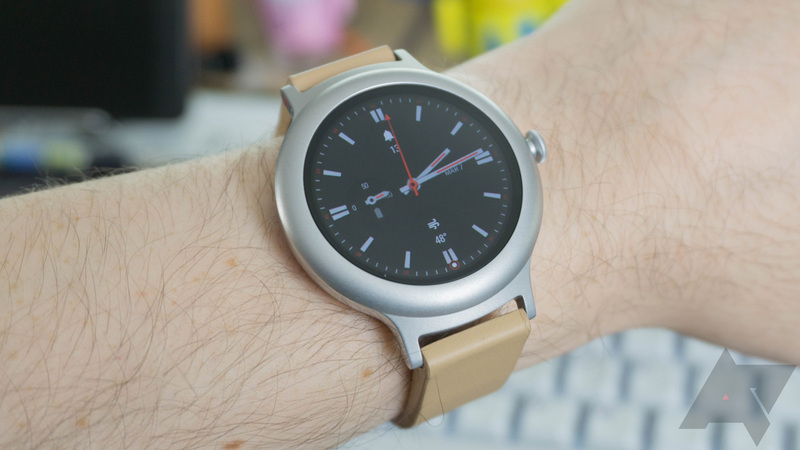 If you've been looking to pick up an Android Wear device on the cheap, this could be the one. 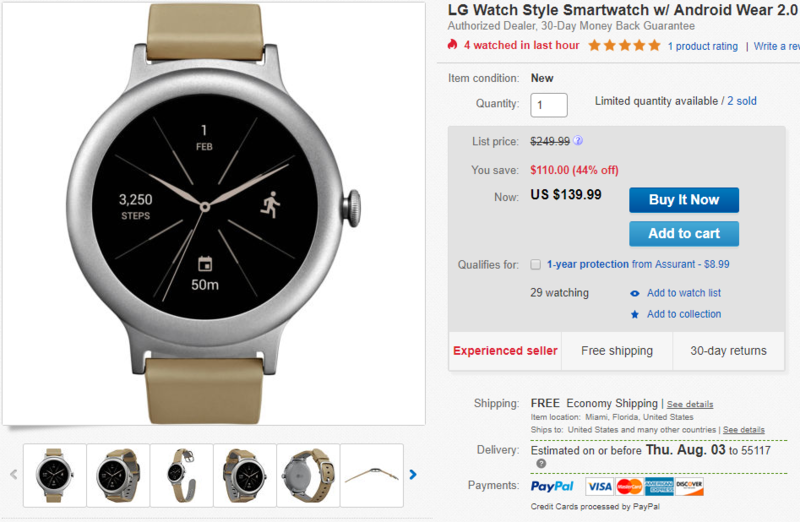 I don't think you'll find a new, currently supported watch for less. This item includes free shipping in the US and will ship to plenty of other countries if you're willing to pay. Tax is paid only in Florida.